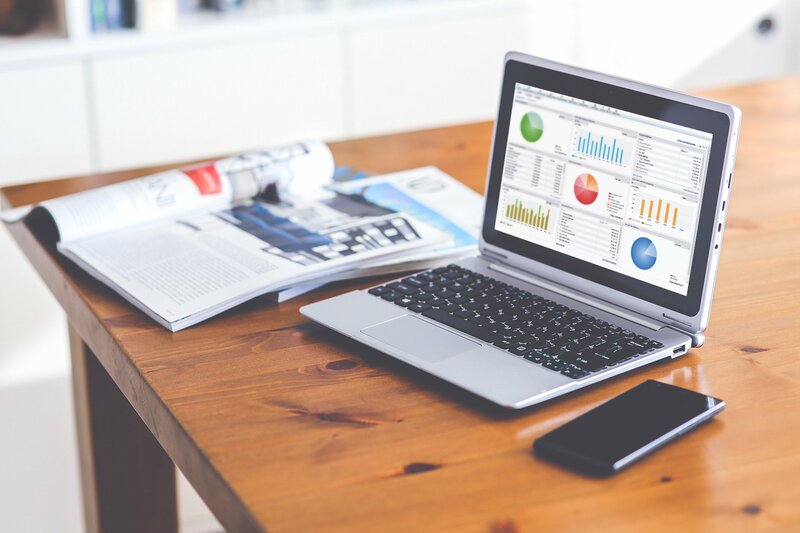 Up to 30 simultaneous users with comprehensive features including multi-company reporting to help you manage your business growth. 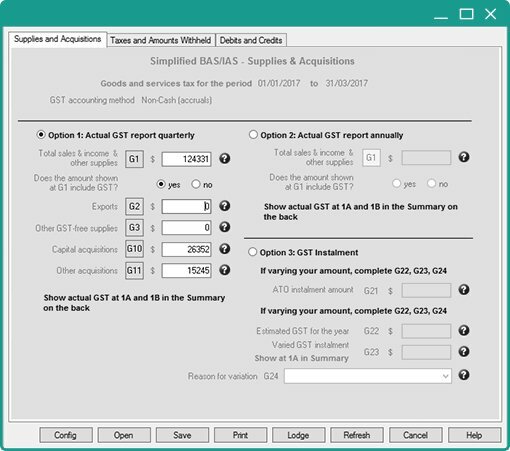 Track your GST and prepare your BAS. 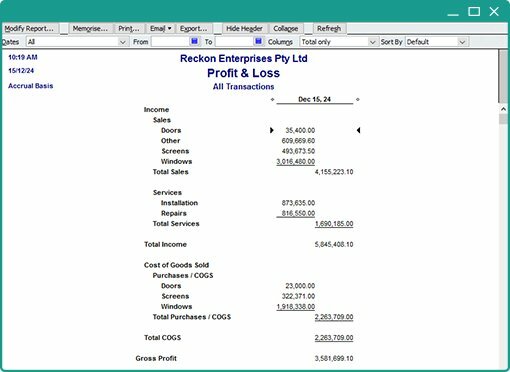 Pre-built reports with drill down functionality including balance sheet, profit and loss and tax liabilities mean you’ll have all the documentation ready to go for tax time. 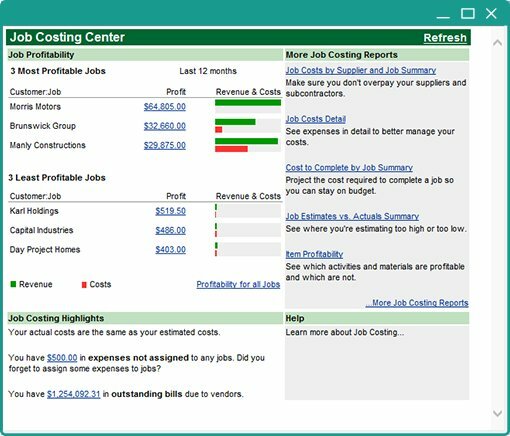 Enterprise also has multi-company reporting so you can connect multiple locations of your business such as subsidiaries, divisions or branches. Reckon Accounts makes it easy to customise, create, and email invoices to your customers. See at a glance what’s been sent, paid and overdue. You can also process credit card payments in Reckon Accounts and look up transactions, contact and billing information for your customers so you’ll never have to wait to be paid again! Reckon Accounts lets you record, track and reconcile everything you buy and sell. Identify what items make you the most money and which items don’t. 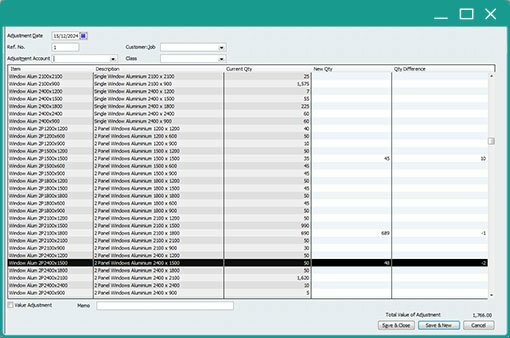 Quickly view your stock levels and even see what’s on order and when you can expect it. Easily manage your payroll and employee obligations. 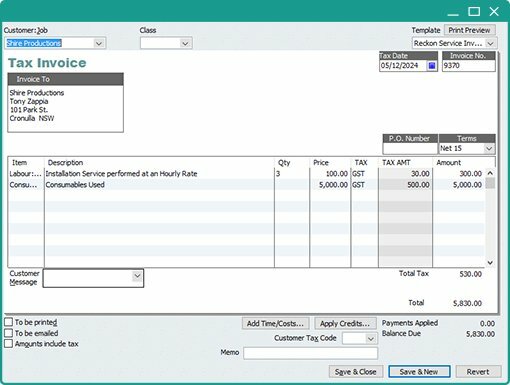 Enter time, schedule pay runs, print or email pay slips and payment summaries, enter leave entitlements and more. Reckon Accounts is certified by the ATO as SuperStream compliant so you can automatically make superannuation contributions on behalf of your employees each month or quarter. 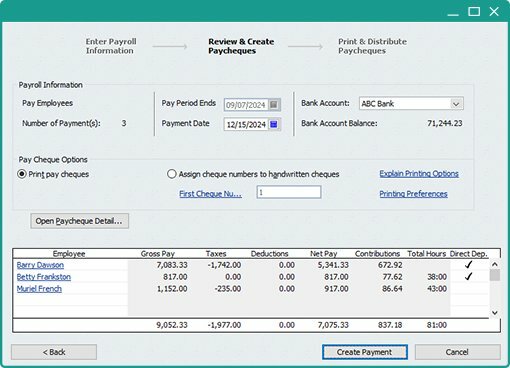 Reckon Accounts Enterprise will be Single Touch Payroll enabled by 1 July 2018. Take control of your finances, your time, and your business. * Single Touch Payroll will be available from 1 July 2018. **Requires internet connection. Available directly from your bank or via Yodlee. Charges apply. Statements can also be imported manually at no cost, check with your financial institution to see if they support this feature. ^Industry specific versions include: Accountant, Retail, Contractor, Non-Profit, Professional Services and Manufacturing & Wholesale Editions.